Practically everyone can use a few cooking tips! They’re especially helpful for beginner cooks, but sometimes even experienced cooks might need a quick refresher course in cooking tips and kitchen tips. I do a lot of cooking, and I’ve learned a heck of a lot over the years. If you’re just starting out, you can benefit from my experience, making your life easier, and in some cases, safer. Food safety should be a big concern for you, but this article deals more with the best ways to prepare and cook foods. I’m sure you already know about and use some of these ideas, but hopefully, you’ll learn a couple of new strategies that will make your job as cook easier. Perhaps some of the ideas will also improve the taste of your dishes. A few of the following are just my personal opinion, so I don’t expect you to agree with everything I’ve said. Of course, you probably already have some of your own shortcuts, too. If so, please share them with me in the comments section! I’m sure my readers will appreciate any extra advice on kitchen tips and cooking tips. By the way, check back and visit often! I'll be adding more cooking tips as I think of them. 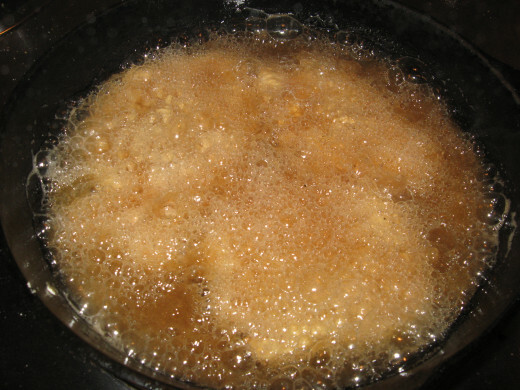 When making gravy, combine cornstarch with water until smooth, before mixing with pan juices. Run lumpy gravy through the blender until smooth. Boiled eggs are easier to peel if you immediately submerge them in very cold water after boiling. If you don’t have a meat mallet, use an inverted plastic soda bottle, with the cap removed. Buy a black iron skillet. Fresh is always better than frozen, and frozen is always better than canned. Dry meats and seafood well before searing to get good caramelization. Don’t cook a recipe the first time for guests. Read through a new recipe completely before cooking, and make sure you understand all the ingredients and steps. 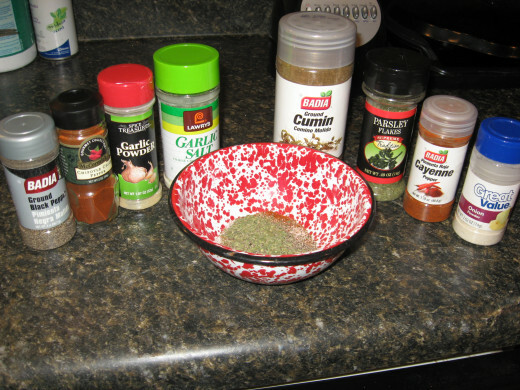 Rub seasonings into meats and poultry instead of just sprinkling. Large zippered food bags are great to use for marinating. Don’t squeeze tea bags. Doing so makes the tea cloudy. Buy a good meat thermometer, and use it. 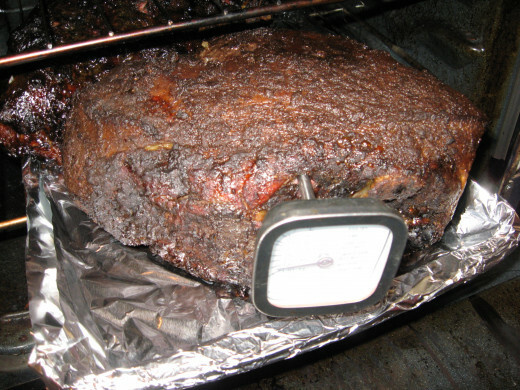 Internal temperature is much better than cooking times for deciding when meat is done. 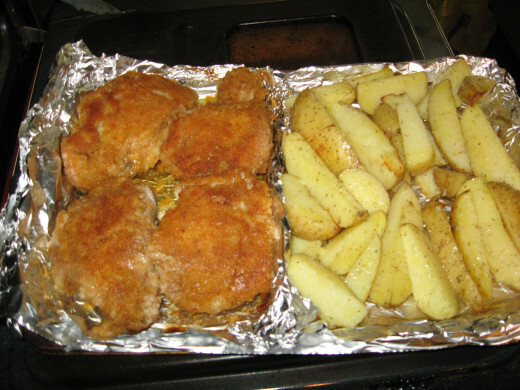 Bake an entire meal at once by making different sections on a large baking tray with foil. Avoid diluting punch and other cold beverages by freezing some of the liquid in ice trays. Use those cubes for chilling instead of using frozen water. For thinly sliced meats, freeze slightly before slicing. Make easy gravy with pan juices and cream of mushroom or cream of chicken soup, along with a little water. 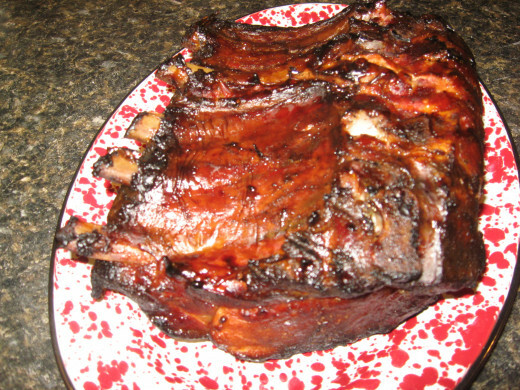 Use Liquid Smoke to add smoky flavor to foods cooked indoors. 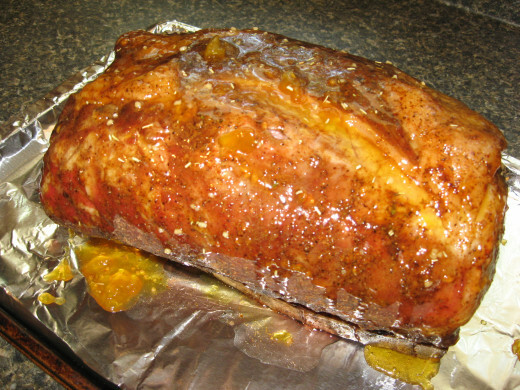 Melted jellies make great glazes for ham, pork roasts, and chicken. Freeze broth or stock in ice trays. When frozen solid, place the cubes in a freezer bag. Add the cubes to season soups, stews, and veggies. Pay attention to and follow suggested rest times for meats and poultry. 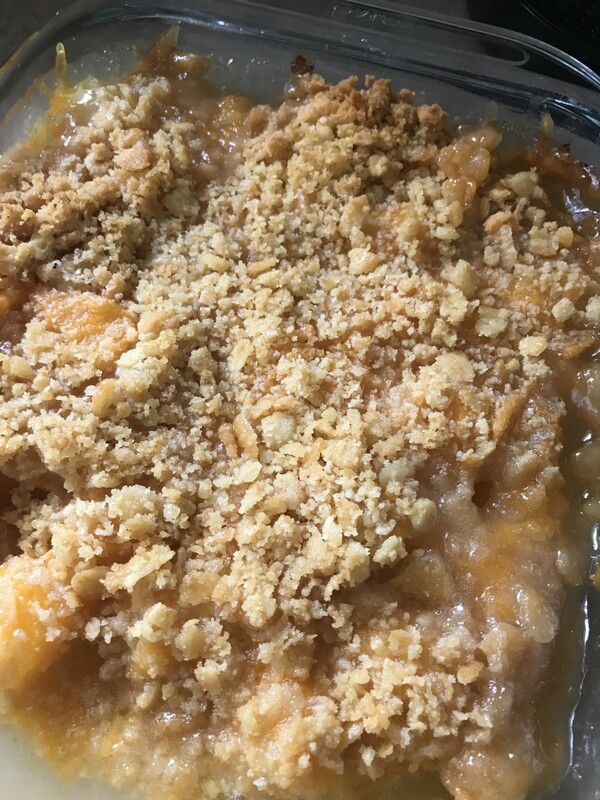 Try different toppings for casseroles: crushed potato chips, panko, breadcrumbs, crushed crackers, crushed tortilla chips, croutons, etc. Slice and dice onions under cool running water or insert the knife you’re using into a raw potato every so often. Remove peels easily from tomatoes and peaches by immersing them for a few seconds in boiling water. The peels will slide right off. Thicken soups and stews with okra. 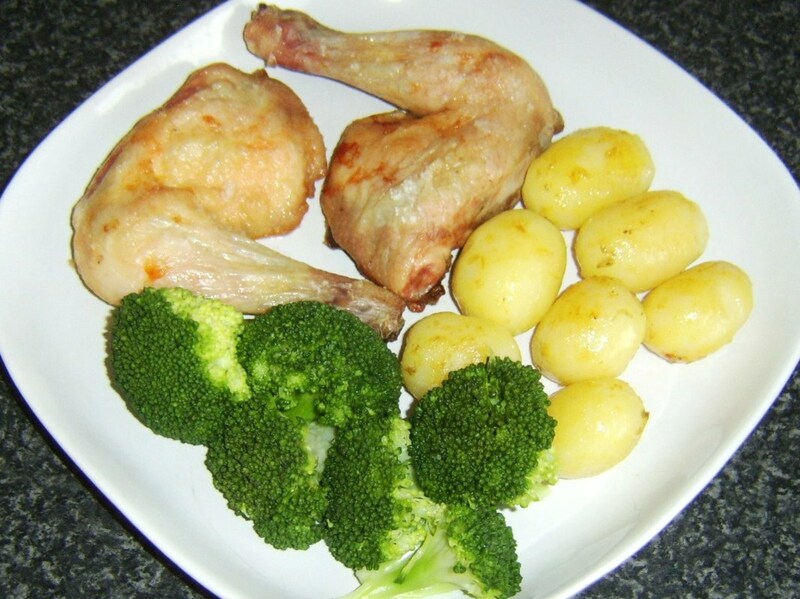 Instead of ham, season cooked veggies with powdered ham seasoning or chicken bouillon. To prepare mustard greens, turnip greens, or collard greens, use your hands to strip the leafy parts from the center stems. Don’t automatically toss out black bananas – the inside might be salvageable for banana bread. Have extra bell peppers? Wash them, cut them into strips, and dry them well on paper towels. Pop them into a small storage bag, remove the air, and freeze them. Keep green salads fresh by placing a damp paper towel over the top and refrigerating. Soak sliced eggplant in saltwater to reduce bitterness. Line up a handful of fresh green beans and remove the stem ends with a knife. Cook fresh corn as soon as possible once it’s been harvested. 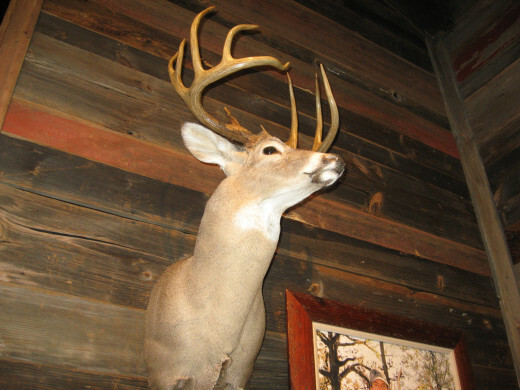 The natural sugars begin to turn to starch as soon as the ears have been removed from the stalk. A small amount of sugar will help canned vegetables taste more like fresh vegetables. 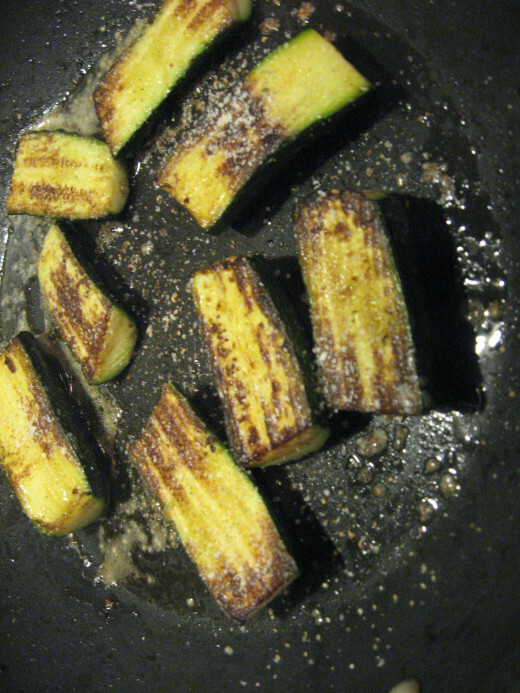 Try pan searing veggies in olive oil. 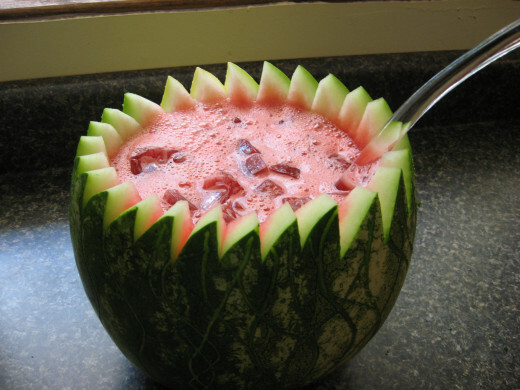 Use hollowed-out fruits and veggies as serving pieces. Pound chicken breasts to an even thickness before cooking. Brine a turkey before baking or roasting. Buy a turkey fryer! 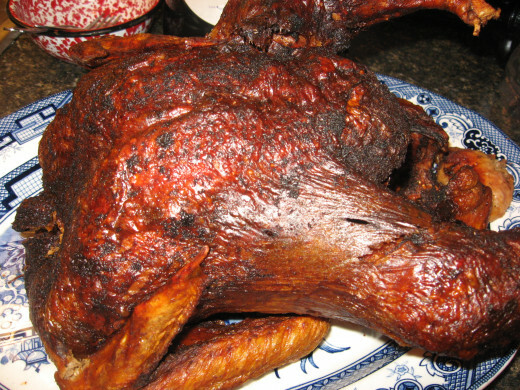 Fried turkey is better than smoked turkey, and smoked turkey is better than oven-roasted turkey. Use the cavities of chickens and turkeys to your advantage. Place fresh herbs, spices, and/or apple or onion sections into the cavity before roasting or smoking. When using a rub on poultry, get as much as you can under the skin. Save skin and bones from chicken to make a rich stock. 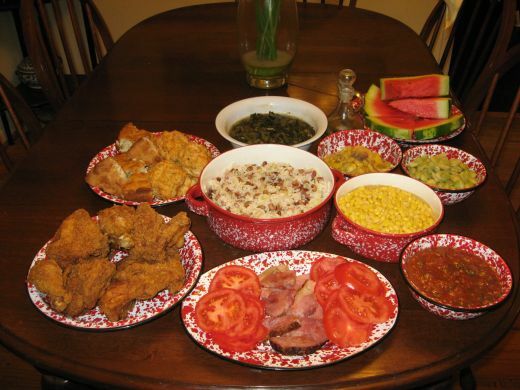 Dark meat has more fat than white meat has. Save the wing tips you trim from chicken wings. They make great stock/broth. Remove any remaining pin feathers with tweezers. Salt beef and pork after cooking. Cook tough cuts of beef in a crock pot or slow cooker. Cook a frozen block of ground beef in a Dutch oven with a tightly fitting lid, over medium-low heat. Place cooked and crumbled ground beef in a colander and rinse with very hot water to remove fat. Save any scraps of baked or smoked ham in a freezer bag for seasoning vegetables. 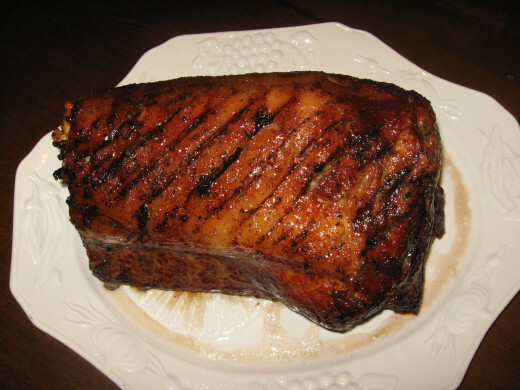 Soak a whole or half ham in ground cloves, brown sugar, and fruit juice before baking or smoking: apple juice, cherry juice, or pineapple juice. Red wine and oil makes a great marinade for beef – especially for steaks. Don’t compress hamburgers too much before or during cooking. Overcooking pork will make the meat tough and dry. The newest recommendation from the USDA is 145 degrees. 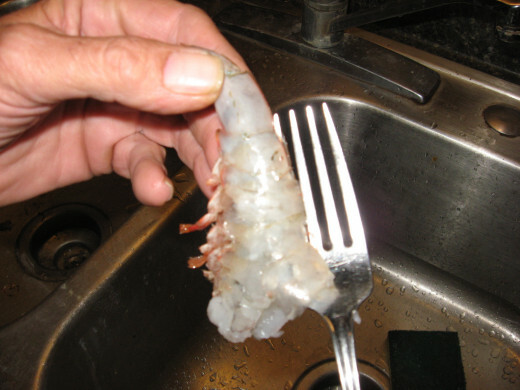 Use a fork to peel and devein shrimp in one quick step. Remove gills from fish before cooking. 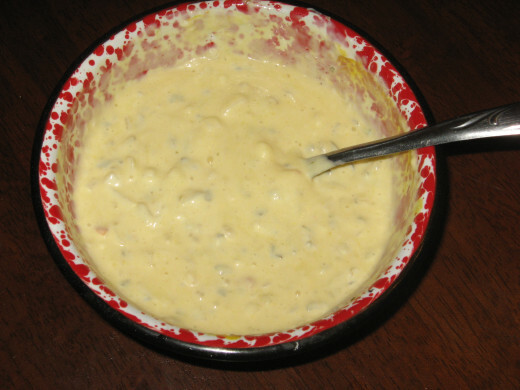 Never use unrefrigerated canned crabmeat from the supermarket shelves. It has no flavor. Boil shrimp heads and peels for a tasty stock. 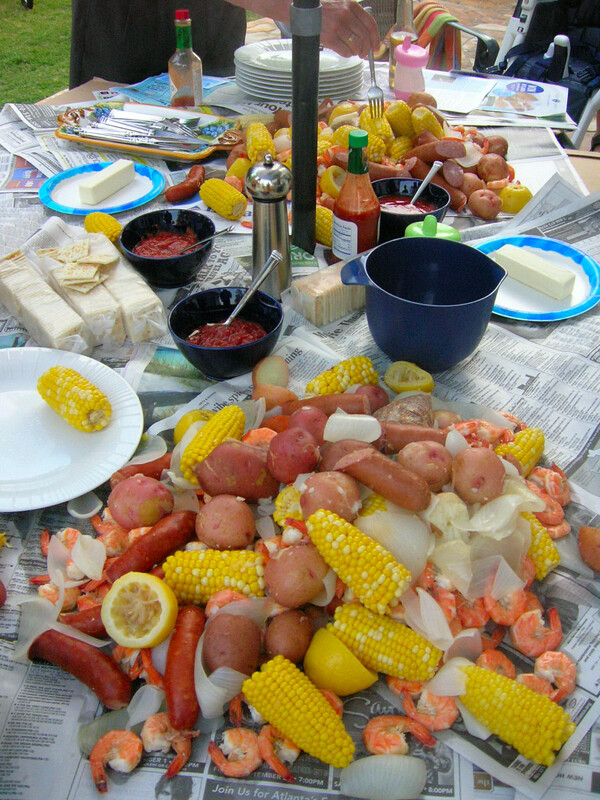 Once boiled shrimp are done, immerse them in ice water immediately to stop the cooking process. Don’t overcook fish. Fish is done when the flesh is flaky, opaque, and milky white. Don’t cook clams or oysters with shells that don’t close tightly when tapped. Toss them out. Learn the difference between fatty fishes and lean fishes. Tough fish like shark should be pounded before cooking. Soak wild game in buttermilk to reduce any gamey flavor. To roast large pieces of game that contain little fat, rub with solidified bacon fat before cooking. Always remove any fascia (silver skin) before cooking game. Turn any scraps from wild game into sausage. Wear rubber gloves when cleaning rabbits to avoid tularemia. Freeze larger/tougher game birds for a week before cooking. Doing so will help tenderize the flesh. For better flavor, remove bones from venison before freezing. Lean game birds can be wrapped in bacon before grilling, roasting, or baking. Bottled Italian dressing is a good all around marinade for game. Remove shot from game birds with tweezers. A magnet can help you locate the shot. Make sure your oil is at least 350 degrees before deep frying. 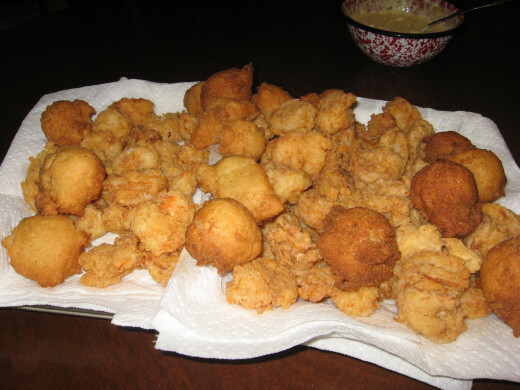 Peanut oil is my favorite oil for deep frying because it has a nice flavor and a high smoke point. Dip foods to be breaded and fried into an egg wash before dredging in flour, meal, or crumbs. 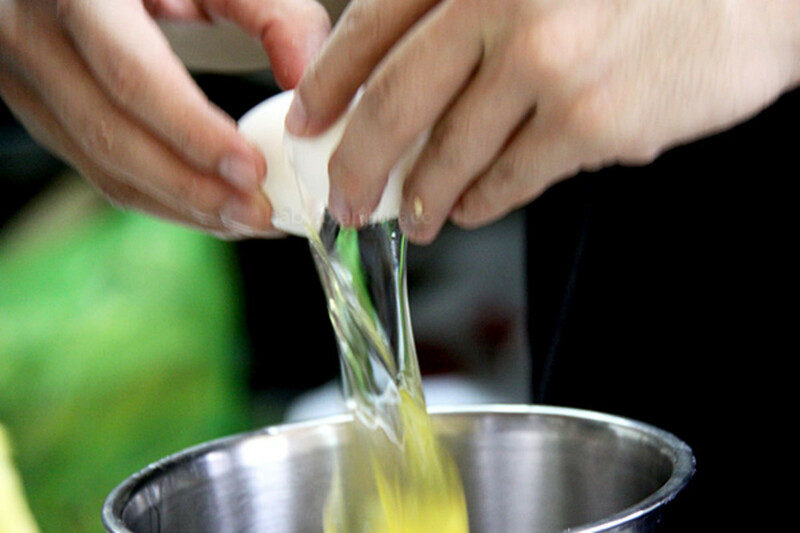 The egg will help the batter stick to the food. If you’re out of paper towels and don’t have wire racks, drain fried foods on stale bread slices. Keep your cast iron lightly oiled when storing. Whenever possible, drain fried foods on wire racks instead of paper towels. Don’t crowd your pan when frying. The foods won’t be crisp. Thinner foods should be fried at higher temperatures for less time. Thicker foods should be fried at lower temperatures for longer times. Slice veggies extra-thin before frying. 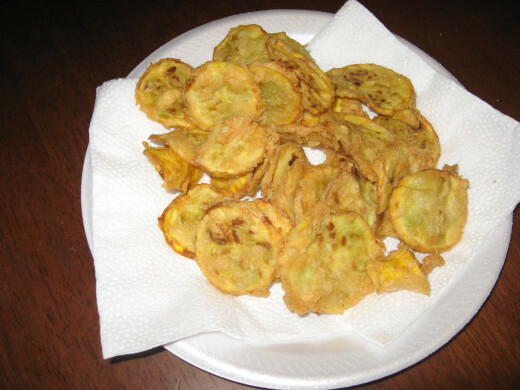 Try adding some grated parmesan cheese to your fried veggie breading. 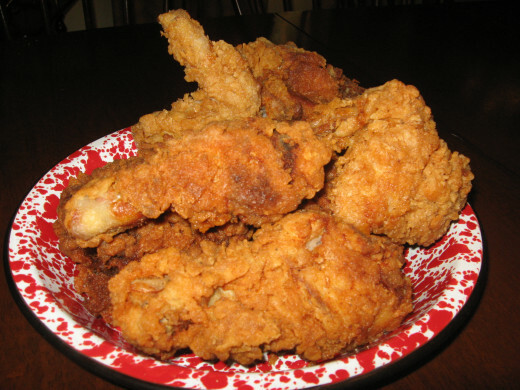 Soak chicken in buttermilk before frying. Butter your hands before handling sticky doughs. When baking cornbread, heat the oiled pan before pouring in the batter. Keep your self-rising biscuit flour in the freezer. White Lily is the best flour I’ve found for making biscuits. Never handle dough any more than you absolutely have to. Too much handling will make the dough tough. To reheat stale biscuits or rolls, wrap the bread in slightly damp paper towels and microwave for a few seconds. 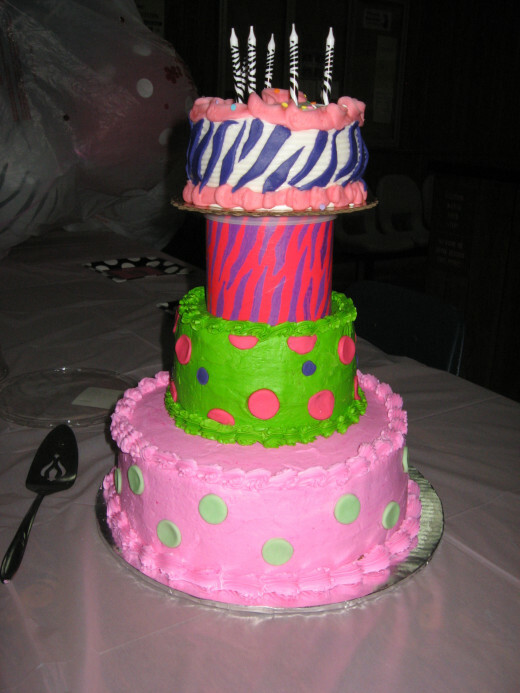 Add cute decorations to cakes with fondant sheets. 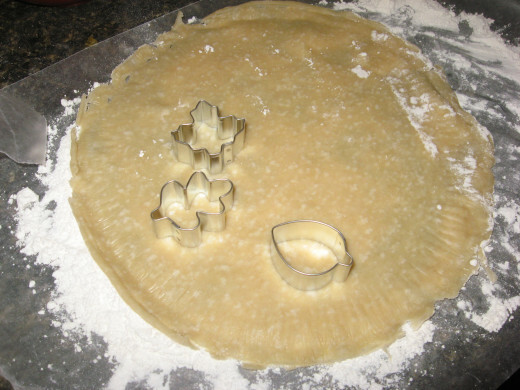 Use a cookie cutter to make shapes, and attach the shapes with icing or frosting. Plump raisins in a little rum before adding them to cookies, muffins, or coffee cakes. Use canned biscuits to make fried turnovers. Roll the biscuits thin and fill with canned pie filling. Fold the dough over and seal edges with a fork. 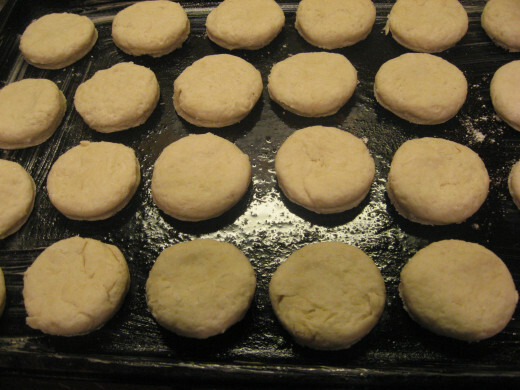 After you take a pan of homemade biscuits out of the oven, cover the biscuits with a thick kitchen towel. The rising steam will keep the biscuits soft and moist. 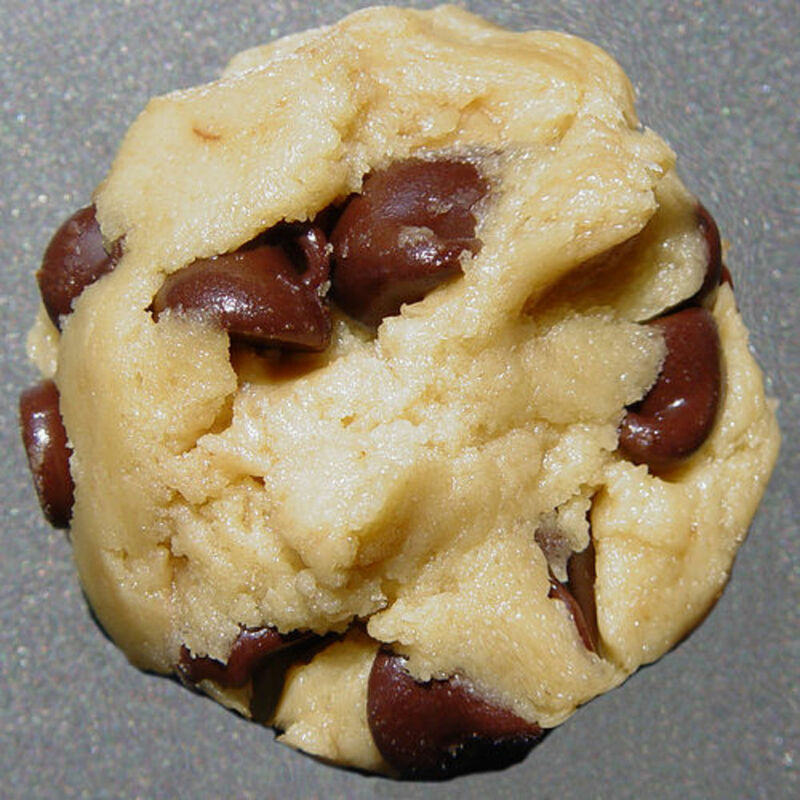 Use a dark metal baking sheet for biscuits and cookies with brown bottoms. 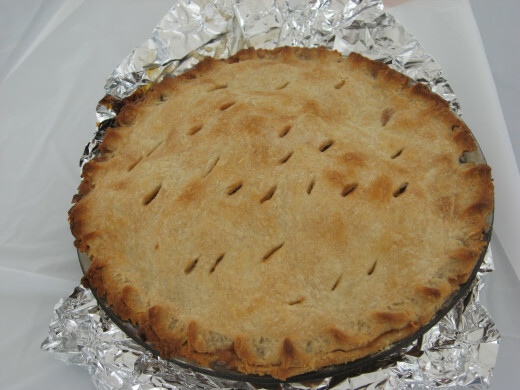 Bake pies on the lower rack of your oven to avoid soggy crusts. Save stale bread for bread puddings, croutons, or breadcrumbs. Store leftover cornbread in the freezer for dressing. You don't need a sifter - use a whisk, instead. Decorate pies with pastry cutouts. Always make vents in a top pie crust. 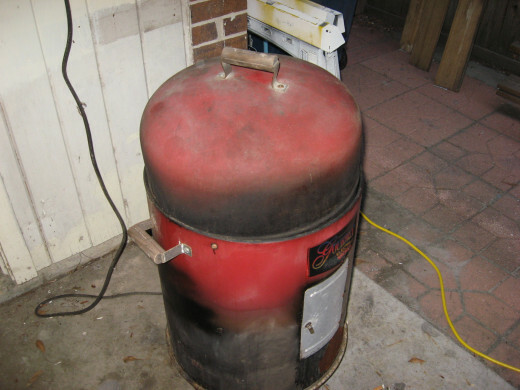 Buy an electric smoker. You'll never regret it! Use tongs to turn meat on the grill. Piercing it will allow juices to escape. The exception is link sausage. Pierce it before grilling. Clean your grilling grates well and oil them before cooking chicken or seafood. When using wooden skewers, soak them in water before grilling. For meat smokers that have water pans, try using different liquids in the pan, like apple juice, pineapple juice, beer, or wine. When grilling shish kabobs or shrimp, use two skewers instead of one. Doing so will make the foods easier to handle. 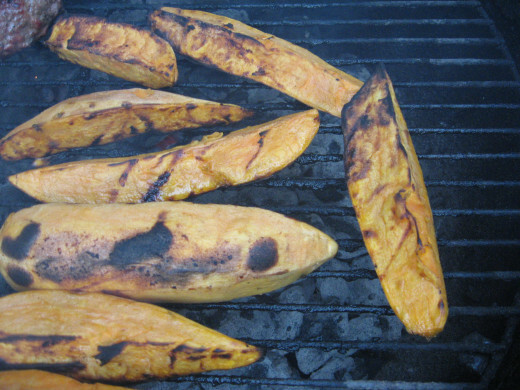 Don’t apply sugary sauces to grilled foods until the food is almost done. 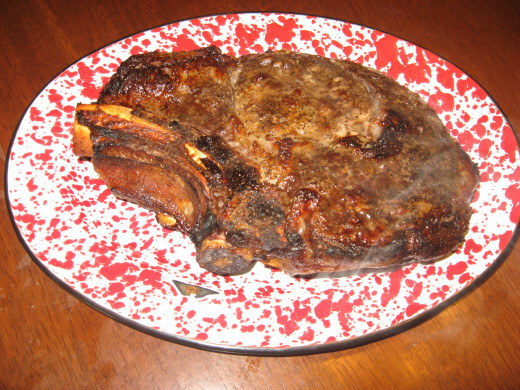 Leave steaks at room temperature for a half-hour before grilling. Soak BBQ woods in water before using. Pecan wood is a great all around BBQ wood. 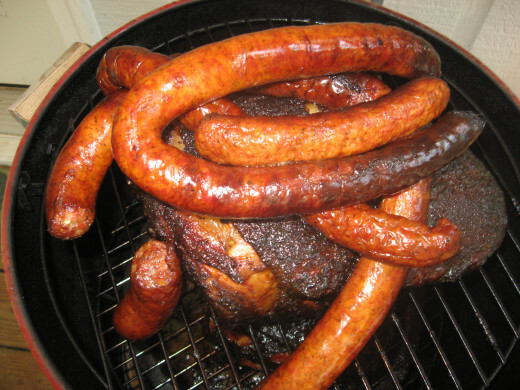 When smoking two different meats on a two-rack smoker, place the fattier meat on the top rack. As it cooks, the juices will baste the leaner meat under it. 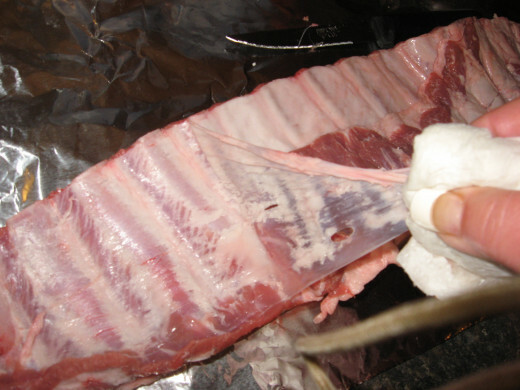 Remove the fell from pork ribs before grilling or smoking. Coat veggies and potatoes in oil before grilling. Store culinary herbs and spices in a cool, dark place. One tablespoon dried herbs equal three tablespoons fresh herbs. 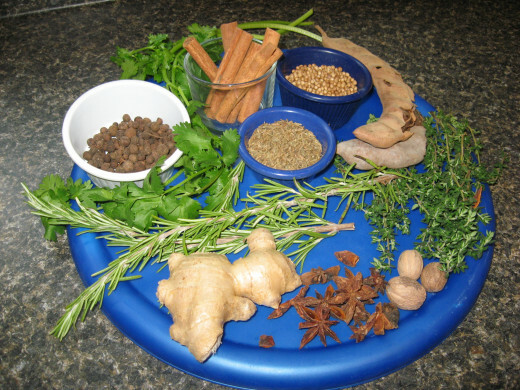 Experiment with lots of different culinary herbs and spices. Grow your own fresh herbs in a windowsill. When it comes to herbs and spices, more is not always better. Freeze your mixing bowl before making fresh whipped cream. 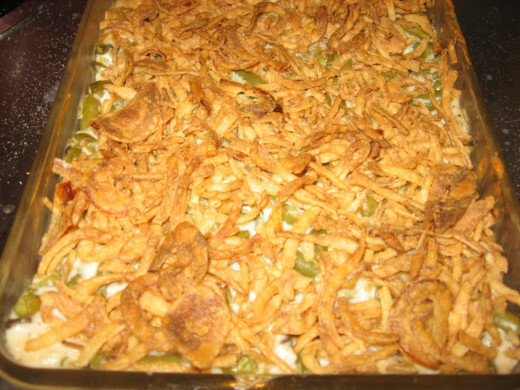 For healthier recipes, substitute plain yogurt for sour cream. Firm cheeses in the freezer for a few minutes before shredding or grating. Soften butter and cream cheese quickly in the microwave. Recycle sour milk by adding it to buttermilk. Use Clorox wipes to clean stainless steel stoves. Use water and baking soda to scrub away coffee stains. Use water and lemon juice to clean your microwave. Scrub your cast iron skillet with salt. Clean graters with a stiff paintbrush. After pan-frying or searing foods, pour a cup of water in the pan before turning off the burner. The heated water will help loosen burned-on bits. Remove lime stains with vinegar. 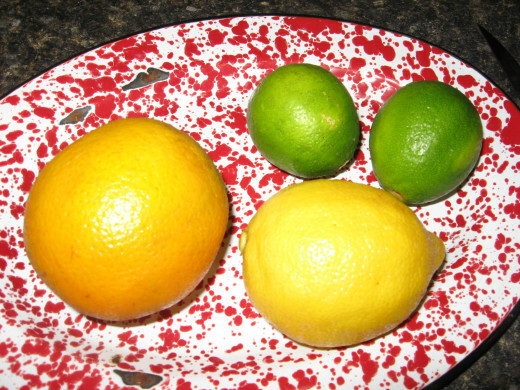 Freshen your garbage disposal by grinding citrus peels in it. An opened box of baking soda will keep your fridge smelling fresh. Clean the fridge with a solution of vinegar and water. Some great tips here, Holle - particularly like the one about whisking lumpy gravy - never thought of that before! Great Hub, voted up. Excellent tips one and all. Just when I had my wife convinced I know it all when it comes to cooking, there are about 8 or 10 here I did not know. Thanks! this is bookmarked, pinned and voted up..Some great ideas here for sure...Great job, as always! What a great resource! I love the addition of the visuals. It adds so much to an article of this nature. Thanks! I think you should open a cooking school! Great hub, useful and informative. Thanks for sharing your tips and advice! Useful Cooking Tips. Voted up. Very helpful hub. I repinned this hub to Pinterest. Voted up and awesome! Great Hub and great food , Thanks Habee for such inspiration! Hi, Holle. 'Don't cook a recipe for the first time . . . for GUESTS!' You said a mouthful, m'dear. This list was awesome! Voted way, way up! Wow! A whole semester's worth of lessons in one hub. Will try number one under fruit and veggies right away. Excellent and voted up! Lena, glad to see another fan of cast iron skillets! I don't know how I'd manage without mine. Very, very helpful hub Habee. I will be using some of these tips. Thanks for sharing, voted up. I never thought about pounding chicken breasts, that is one I will try tomorrow! Excellent tips. You have beautiful pictures here. I hope to cook enough one day to make use of all your helpful tips! Thanks for your extensive info hub. I love the tip about using foil to separate different foods - very useful so you don't have to use 2 pans and lately I have been contemplating getting a pre-seasoned cast iron pan. Excellent hub! I really need a cast iron skillet. We had those growing up but they got so worn we had to throw them out. Never doubted how good the food was though. I also like the tip about heating the pan before making cornbread, didn't think of that but it sounds good. I love that the first tip is to have a cast iron skillet. I was given one by my grandmother when I first moved away from home and I wouldn't trade it for anything. 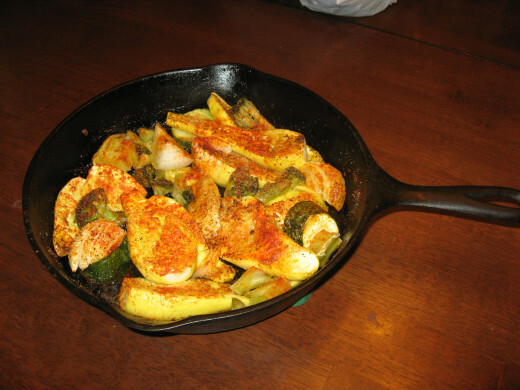 Food tastes so much better when cooked in cast iron.